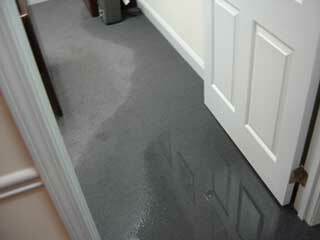 Top Water Damage New Jersey Team! 24/7 ! Kids are a blessing. Their innocence, spontaneity and imaginations are a delight to behold, but often the same things we love and celebrate in our children are the same characteristics that lead children to cause unintentional household water damage. According to CNN Money the average cost to raise a child in 2014 is $241,080. But if your child loves water (what kid doesn’t) and has a pension for mischief, you may want to tack on an extra 20 thousand dollars to that figure. One of the best New Jersey water damage companies reported that a significant percentage of their summertime calls involved water damage to a home’s foundation and crawl space, and a few of those calls resulted from the unsupervised water-play of children. When your kids drag out the Slip-n-Slide make sure they place it far enough away from the house so the water doesn’t soak into the ground near the house or by the crawl space. If your kids routinely play with water slides or run through the sprinklers and the water always runs near the house, it will only be a matter of time until enough H2o soaks in deep enough to cause some damage. You should also make sure your kids shut off the water when they are not playing. When water enters a crawl space and never dries due to humidity, a mold problem can arise and risk the health of your family members. What Kid Hasn’t Flushed a GI Joe down the Toilet? Ever since it became common to keep the toilet indoors, kids have been fascinated by the loo. Its flushing sound has delighted many little ears, and flushed objects sparked wonderment and played into the imagination by hinting at the “destiny to the unknown”. While some children imagined that their flushed He-Man toy would wind up in Valhalla, other children guessed that their one-armed Cobra Commander was cast out to sea to be consumed by sharks. Either way, the toilet was a plaything for most kids, it still is, and parents need to keep a watchful eye on the porcelain throne. Toys can cause a toilet to backup and overflow water onto the floor. In some cases it can even cause pipes to burst and spew black water out. But toys aren’t the only things to go down the sewer; unwanted school clothes have been known to be removed from pipes by sewage backup professionals, as well as apples, keys, wallets, staplers, mittens and alarm clocks. Really, anything your child can get his hands on could be a potential weapon to assault your plumbing. If you don’t have a swimming pool, your child might try turning the bathroom into one. A common childhood bathtub activity has been to fill the tub to the edge and jump in from the countertop (biggest splash wins). Of course the child is not going to clean the mess up, nor is he going to bring it to the parent’s attention. When children dive into the bathtub large amounts of water stand in the bathroom and soak down through the floor and into the subflooring. Sit down with your kids and explain why it is important to only fill the bathtub half way and why you should never jump in it. Go over flushing etiquette and the proper use of sprinkler playtime and water slide activities. If your kids understand that these fun-filled enterprises lead to severe damage and hefty repair bills (yeah, your insurance probably won’t cover GI Joes), they will be more inclined to cooperate and stay off the water damage grids.